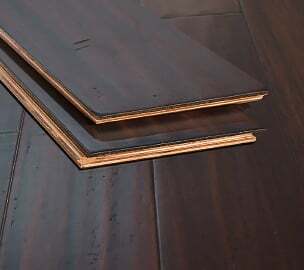 Because of the way it is manufactured, our engineered bamboo floors are an excellent choice for DIY installers, floating installations, and projects where dimensional stability is a must. 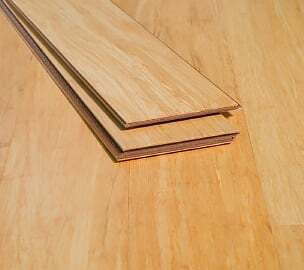 Engineered bamboo flooring consists of a wear layer of solid strand woven bamboo laminated	to a core of either multi ply eucalyptus plywood or high density fiberboard (HDF). 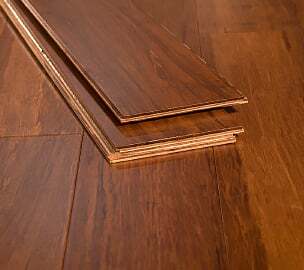 Engineered hardwoods in general	are installed using the floating method because they are much more dimensionally stable than solid floors. 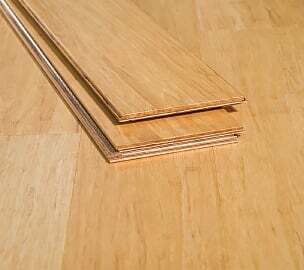 When made	with a wear layer of strand bamboo material, engineered bamboo floors can usually be refinished at least twice (depending on the brand) and are frequently used in DIY installations and basements. 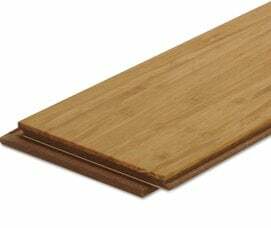 Most engineered bamboo	floors come in a click-lock construction for ease of installation. 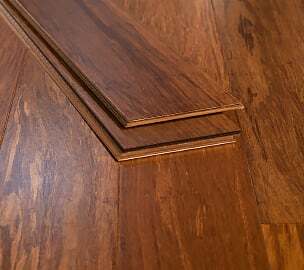 Due to their high dimensional stability engineered floors are	an excellent option for all environments. 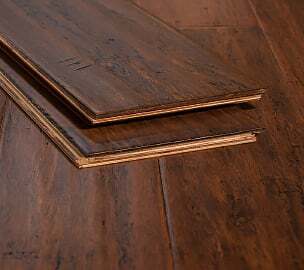 Ambient's engineered floors come with a super-durable and thick top wear layer	that can be sanded down at least twice. 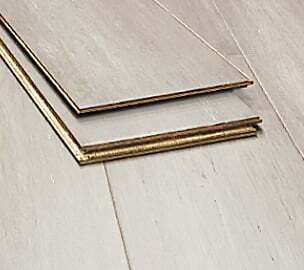 This weaer layer is adhered to a core of either A) high-density fiberboard (HDF) or B) multi-ply	eucalyptus (see images of both core types below!). 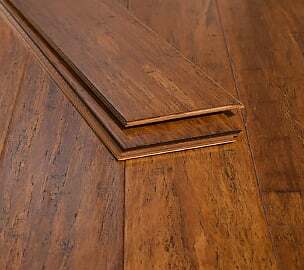 Some engineered bamboo floors come in a "click-lock" installation style - no glue, no nails, and perfect for do-it-yourselfers. (Make it a do-it-together project!) 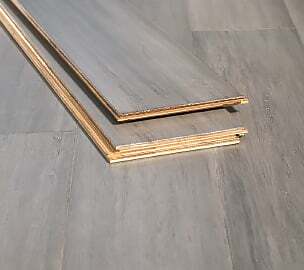 The can be installed over concrete with no problem as long as you first lay down a quality 3 in 1 underlayment. 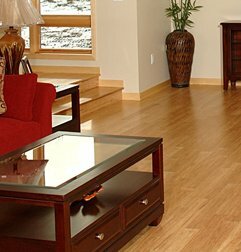 Strand bamboo floors cost a fraction of the price of traditional hardwoods! These days, we all want to be doing more for the environment. 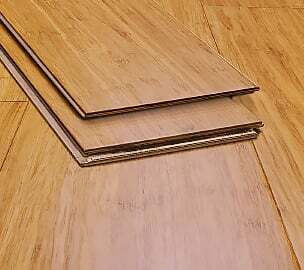 Combine that with the low cost of bamboo flooring and whamo, you can make a positive impact on the world without sacrificing style or quality by choosing Ambient Bamboo Flooring. 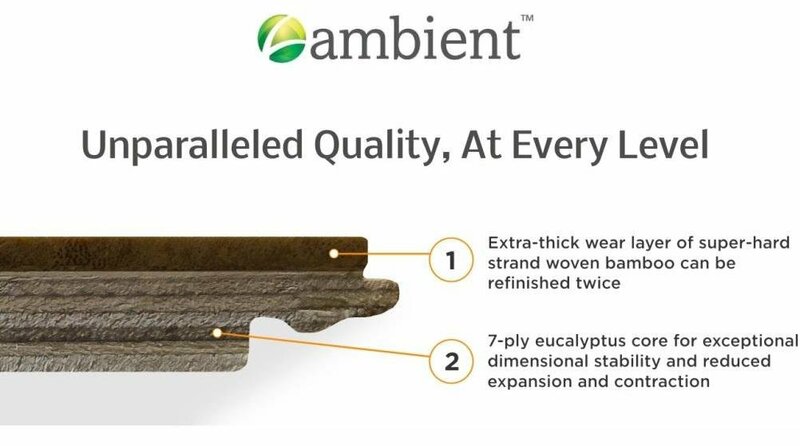 Our bamboo is harvested from properly managed forests that reach maturity within 5-7 years. We are a member of the US Green Building Council, and many of our products qualify for LEED credits. We can also source FSC Pure products by request.